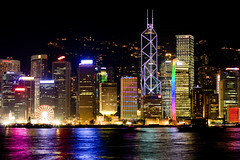 HONG KONG – Hong Kong has seen an unexpected budget surplus, and will now distribute the extra funds back to its citizens in the form of social assistance. On February 27th the Financial Secretary of Hong Kong John Tsang unveiled the latest government budget for the territory, announcing nearly HKD 33 billion in once-off increases to social spending, welfare payouts and assistance programs for low income individuals. John Tsang revealed that, while the government had anticipated a budget deficit of HKD 3.4 billion for the fiscal year ending March 31st, the better than forecast economic growth of Hong Kong and unexpectedly high tax collections have led to a surplus of HKD 64.9 billion for the year. The advantageous financial position has allowed the government to expand its spending on social programs and welfare assistance, boosting total payouts by approximately 16 percent. As part of the new expenditure programs, any individual currently receiving social security allowances, old age allowances, disability allowances or living allowances will receive a supplementary payment equivalent to one month of their standard payouts. Individuals who live in public housing will also enjoy a once-off payment equivalent to two months worth of rent. Businesses in Hong Kong and employees earning a salary will also be granted tax rebates of up to HKD 10 000 in order to reduce their income tax liabilities. In his speech the Finance Secretary also hinted that the government is now looking at potential new measures to overhaul the entire tax system, with the ultimate aim of reducing the rate of corporate income tax for local businesses in order to increase Hong Kong’s competitiveness among other financial and business centers in Asia and around the world.